Available for men and women as t-shirts, hoodies, and long-sleeve shirts. Also as stickers and cards. 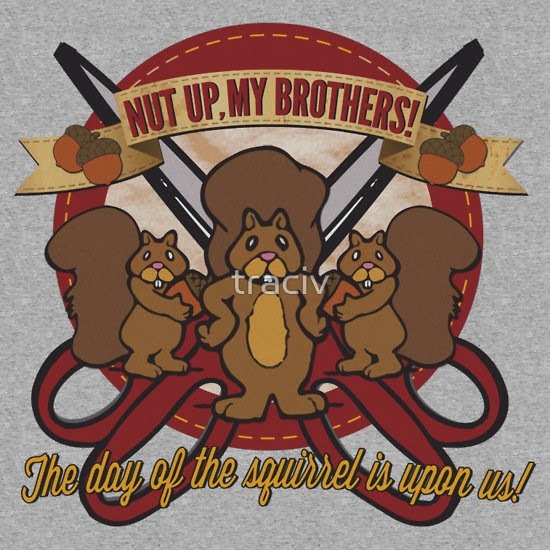 The squirrels are mad as acorns, and they aren’t going to take it any more! So, just to be safe, you should probably wear this shirt at all times. After all, if you aren’t FOR the squirrels, you must be against them. For those not in the know, this shirt is a parody of a SEARS commercial. I don’t know about you, but I don’t want any squirrels with scissors chasing after me.